 Triangle Farms has over sixty years of experience with seed cleaning, storage, packaging, blending and the processing of various types of seeds and grains. Our focus since 1983 has been on Grass Seed, Clovers, Flowers, Vegetables, Herbs, and specialty Grains of all kinds. We have three, state-of-the-art, complete cleaning lines and a fourth smaller line for hand collections and breeder seed. Triangle Farms also offers sizing, blending, packaging, storing and drying of seed services. Our goal is to provide the best, on the job, service possible for the customer while we process seed to the highest quality specifications. The end result of our seed cleaning, storing and packaging services is high yield, quality seed, which pleases both grower and company alike. 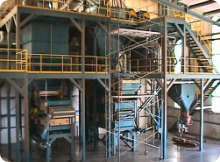 It has taken many years to learn the process and techniques of processing the wide range of seed species we provide to our customers. Most of our staff have been with us for over ten years and have learned to recognize problems that most facilities do not recognize until after the seed has been processed. Unseen problems from a lack of experience can extend cost or destroy the value of some crops when not handled properly. While there are no guarantees in this business due to environment variability, Triangle Farms has an excellent reputation in the industry that speaks for itself among other growers.